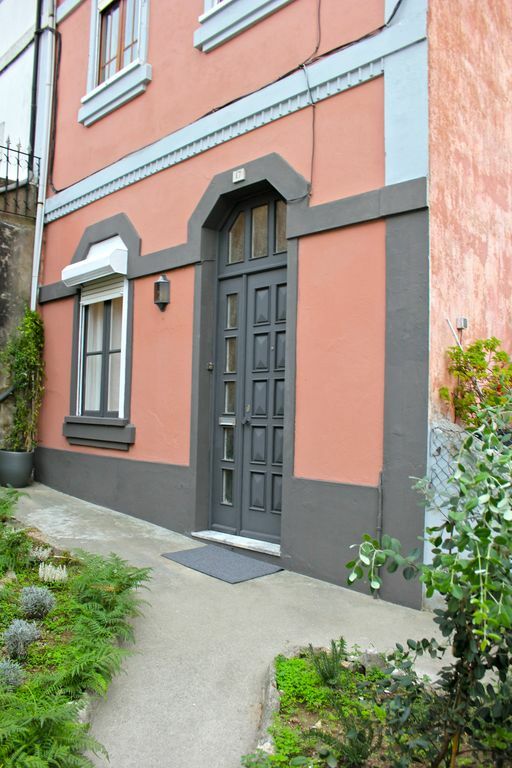 House in the center of Porto, close to Lapa subway station, at 1.6 km walking distance from historical center. Restaurants and Supermarket nearby (400 meters). Garden floor of a 2-familly house with private entrance. Fully renovated flat with Wi-fi included. Consists of two bedrooms plus a TV room with a sofa bed (3rd bed), a brand new kitchen with new appliances, fully equipped with electric 3-burner cook top, separate oven, dishwasher, clothes´washing machine and Coffee maker with milk frother - start your day with your own cappuccino and fresh squeezed orange juice on the patio! Large kitchen table comfortably seats four. The Kitchen opens into a small sunroom which accesses the new windowed bathroom as well as the sunny outdoor patio and garden. Entire apartment for 1 to 4 people. We would like to inform you that as of March 1, 2018, the city of Porto will apply the Tourist Tax to all bookings in all hotels. Anyone older than 13 years, staying a night in Porto, pays the tax per night, per person for a maximum of seven straight nights per person and per stay. Tourist Tax rates: 2 € per overnight stay and per person, up to a maximum total value of € 14 (Seven straight nights per overnight stay / person). We ask guests to pay directly to the owner upon arrival. Residential area in the center of Porto. All items needed for 6 . Zona de refeições preparada para 4 pessoas. Perfect location, lovely garden and stylish living! Two lovely and polite girls from Uk. They are welcome back anytime. Ravissante maison avec jardinet, au calme. Nous avons été ravis de séjourner chez Rui. Sa maison est ravissante, tout est restauré avec goût, l'endroit est très calme et le centre ville est à seulement quelques station de métro. Et que dire sur ce jardinet privé de toute beauté directement accessible depuis la cuisine ! Sans oublier que Rui est un hôte charmant. Je recommande vivement cette location !!! A very polite couple from Canada. I couldn't ask for better guests.